“Dinner Party”—it’s a phrase we hear a lot this time of year; one that excites us to no end, but also intimidates us. Hosting a dinner party can seem like a daunting task, but here’s the good news: it doesn’t have to be. Follow these general guidelines, and you will be sure to impress your peers as well as have time and energy to enjoy your own shindig. The key to staying organized and on track while planning your dinner party is to come up with an overall idea and stick to it. Think about the kind of atmosphere you wish to create for your guests. Will this be a low-key event or an elegant affair? Carefully consider your guest list before making this decision. If you expect that your friends would enjoy a chance to dress up, plan a more formal event. On the other hand, if your friends and family are looking to relax, keep it simple. It’s also important to know your limits. If you’re new to the dinner-party-hosting scene, don’t be an overachiever and take on too much. Know what you can and cannot pull off. Remember, the point of this party is to have fun! Once you’ve figured out the atmosphere and ambiance, resist the urge to splurge on all new things and don’t spend all your precious time handcrafting place cards and menus. However, a few flowers, coordinating colored linens on the table and a bit of candlelight go far when it comes to creating a memorable first impression. When it comes to the menu, don’t torture yourself trying to serve a five-course meal. Choose foods you are experienced at cooking and that are fairly simple to prepare. This is not the time to try to master something new! 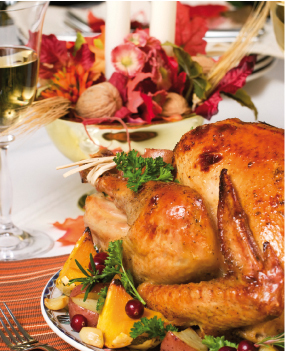 Start with the main course and consider sticking with a simple roast, a baked ham or a stuffed turkey or chicken. All of these items are easy to cook and each can be complemented by a large variety of side dishes, soups and salads. Other fun and interactive dinner options include serving an all-appetizer spread or hosting a fondue party. If you are providing beverages, be sure to have them ready for sipping before guests arrive so they can get right to the business of mingling while waiting for dinner to be served. Don’t forget to offer a few “mocktails,” as not everyone drinks alcohol. If you choose to let guests bring their own drink of choice, make sure you have a space readily available for their beverages and beverage totes. You don’t want to have to stop and clear space in your fridge or on the countertop when guests start arriving. Now that you’ve decided on the atmosphere, determined the décor and menu, it’s time to let everybody know about the gathering. Whether you choose to send snail mail or email, the invitation is one of the most important aspects of party planning. The invitation sets the mood, lists details and lets guests know what to expect. When deciding on a day and time for your party, avoid weekdays, especially if you’re a first-time host. It’s just too complicated to try to prepare a meal and get the house ready when you’ve been at work all day. Set the time of your party to give your guests time to mingle before dinner. 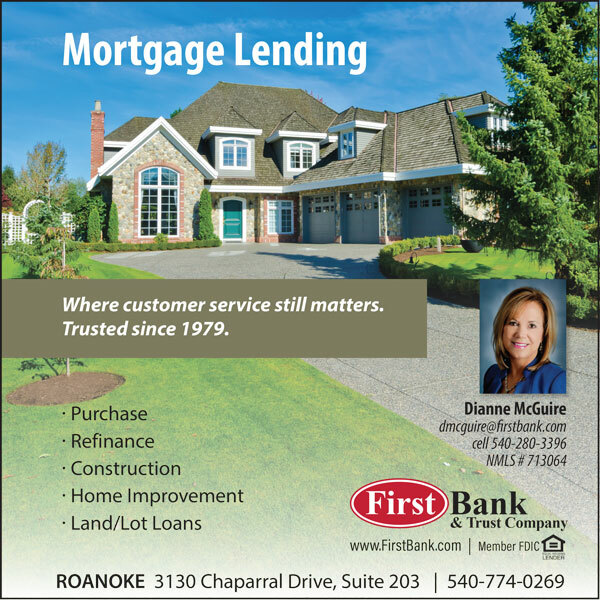 On the invitation, include the party location, date and time. Explain that dinner will be provided, inform your guests of the theme, dress code and what they should bring with them, if applicable. Be sure to specify whether guests can bring a date, children or even pets along, too. ■ Create a music playlist that’s ready to begin as soon as the door bell rings and doesn’t end until the last guest departs. Party tunes should be just loud enough so that people don’t have to shout to be heard above them. home who may not know each other, it is your duty as a host to make sure they are formally introduced and as comfortable as possible. ■ Play with the centerpiece. If you feel like flowers are overused, use seasonal fruit or an interesting sculpture instead. Take a seat at the table with the centerpiece in place to make sure that guests won’t have to crane their necks to see the person seated across from them. ■ Give out party favors. People love leaving with a little something to take home. ■ Take photos and record everything. Write down personal comments about the hits and the misses. You’ll thank yourself later for keeping a dinner party journal. 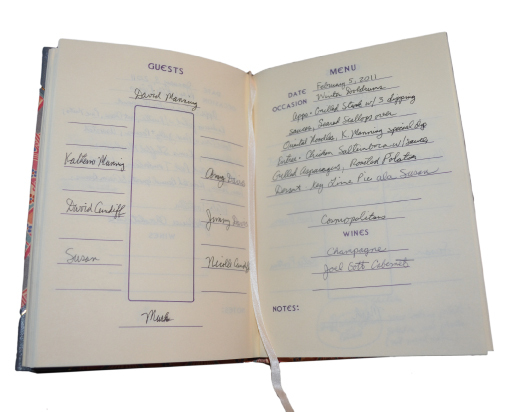 Document your event in a dinner party journal. Planning who-sits-where helps guests know what to do and where to go. It’s always nice to mix things up! It keeps conversation interesting and prevents pairs and cliques from inadvertently forming at your table, so everyone feels included. In most homes, the host and hostess sit at opposite ends of the table, but there is no set rule about this. What if you have a round table? Some hosts find that it works best when they sit together near the door that leads to the kitchen so that they can easily tend to the oven. Think about the personalities of the group you’re assembling and who might make fun seatmates. Grandfather might get a kick out of sitting next to the beautiful recent college graduate. Your neighbor who spent their gap year in France would enjoy sitting next to your co-worker, newly arrived from Areva’s company headquarters. One of your guests is apt to be shy; seat them next to an effervescent person. And please, don’t doom any man to sitting between two chatterbox women. 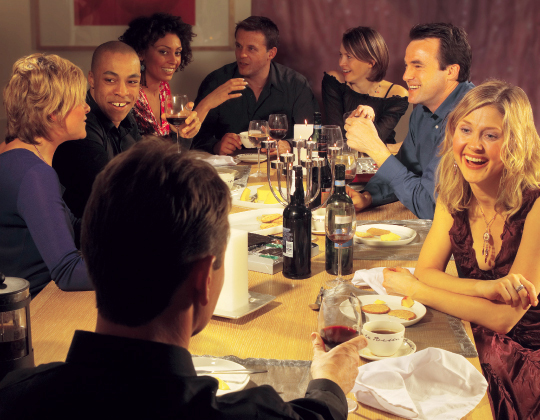 If you have a very long table, put the most vivacious guests in the very middle—they’ll keep the good times rolling. It’s always a good idea to separate couples; seat pairs (including best friends) across from one another and alternate the seats of male and female guests when possible. Many a romance has budded when unaccompanied single guests have been “coincidentally” seated next to one another. Seat the guest of honor or the guest who might not be as familiar with the group next to you so that formal introductions can comfortably be made. Make notes about the menu, including the page in the cookbook (or the recipes themselves! ), if space allows. That way, the next time you invite Bob over and he eagerly asks if you’ll be serving “that salmon he had last time” again, you’ll know for certain what he’s requesting; after all, you might know 8 different ways to prepare salmon. Additionally, if you don’t have any special requests for repeated dishes, you’ll be able to reference back to the last dinner party and ensure that you’re serving your guests something new and different this time. If your friends are bringing side dishes or the dessert, make note of that, too. It’s always fun to remember who brought what, especially if YOU are the one who wants to make a special request for a repeat appearance of that incredible thing they brought last time. Wine lovers often keep a separate wine journal, but you can incorporate a record of that information here. If one of your guests brings wine as a hostess gift, document that gift so you can properly thank them later (whether or not you choose to serve it at dinner is up to you). A menu featuring crispy fried chicken, coleslaw and potato salad wouldn’t be complete without a pitcher of ice cold sun-brewed sweet tea, now would it? Just because your dinner party menu might not be formal doesn’t make it any less special. So, document these happy times. You’ll be glad you did. This is the fun part. Did someone tell a great joke that had the group howling in laughter? Write down what of it you can remember. Did someone share special news? Record that momentous announcement. Jot yourself a little note about anything you never want to forget. By keeping a Dinner Party Journal, you’ll have a record for posterity’s sake, a diary of fun times shared with those who are most special to you. And the next time you have a craving for that most-amazing chocolate cake you had that time, you can flip back through your book and recall which friend baked it. Maybe it’s time to have them over again! Invent a reason to have friends over; don’t wait for an occasion to come to you. Celebrate the first snowfall or a friend’s graduation from physical therapy after a tennis mishap; anything can become a special occasion when you say so. Next, add one telephone and invite guests to dinner up to two weeks in advance. Select 6-8 guests that have something in common with each other and blend well. (Don’t forget to include yourself in the head count.) Mark and Susan find that this is an ideal number for a dinner party and allows everyone to be included in the conversation. If your guests come in couples or pairs, separate and mix them up so they can enjoy fresh company around your dinner table. Try an alternating boy-girl seating arrangement and blend guests as necessary. 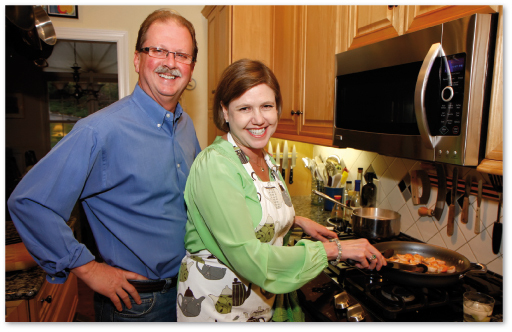 Select the evening’s menu from recipes that you have prepared many times with great success. (Keeping track of menus in a dinner party journal prevents you from serving repeated recipes.) Start the evening with a few delicious appetizers and have them ready-to-enjoy as soon as guests arrive. Serve drinks and encourage guests to start the party while dinner preparations are being finalized. Serving suggestion: “If someone asks ‘What can I bring?’ we like to tell them to bring the dessert,” said Mark. Desserts are an item that lets your guests shine, whether they’ve baked it themselves or purchased something from a special bakery. Start your own Dinner Party Journal with HOME’s dinner party journal. Download now!